Make a difference for our kids! Children First comes alive through its volunteers: Children First Champions. This training session educates you about Children First AND requires a commitment to help the initiative flourish in St. Louis Park. - Those who live, work or volunteer in St. Louis Park. - Individuals committed to the healthy development of our youth in St. Louis Park. - Volunteers who will make a commitment to share the Children First message among St. Louis Park adults they know. We need adults in St. Louis Park to know about Children First and the important role they play in the helping youth thrive. Children First Champions help meet this goal. Children First Champion training occurs in two parts. 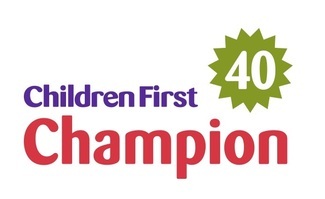 It begins with a 4-hour session covering the history of Children First, its research base (the 40 Development Assets), and the role of Children First Champions. Following the first session, you will receive sign-up information for a 90-minute Action Planning Session where you will set two action steps to spread the message through your sphere of influence. Children First Champions are required to participate in both sessions, and make a commitment to spreading the word among St. Louis Park adults. Quarterly gatherings are held for Children First Champions to connect and share their successes. The training is free, but a reservation is required. If you are not based in St. Louis Park, or do not feel you can make this commitment, check out Asset Building 101, 2-hour workshop where you will set personal action steps to build assets in youth.